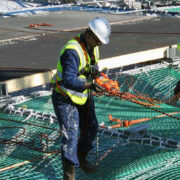 Personnel safety nets (aka safety netting or horizontal fall protection netting) are mandatory on construction sites which imply a risk of falling, such as industrial construction, bridge building, demolition works, the installation of solar panels on roofs, etc. 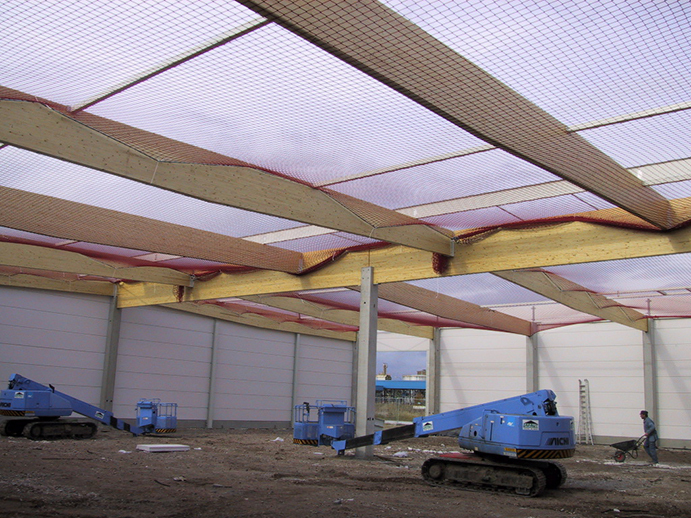 These horizontal safety nets provide a significant contribution in the field of fall protection. 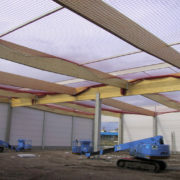 Because they are hung under the workplace to be secured (domes, bridges, scaffolding, etc. ), workers are caught if they fall without getting hurt. Javer’s personnel safety nets are inspected and certified in accordance with the European standard EN 1263-1 type S. They consist of knotless polypropylene with a standard wire thickness of 5 mm and a mesh width of 100 mm. 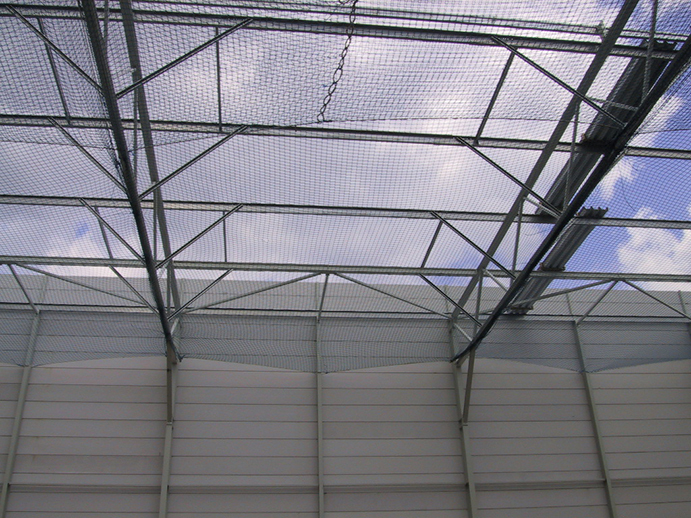 In combination with the minimum breaking force of 30 kN and the hem cord woven in the edge, these safety nets are a highly reliable solution for a possible fall. At least, if they are hung in accordance with the regulations. 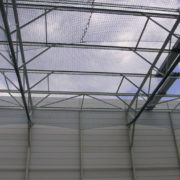 The fall height cannot be over 3 meters within a distance of 2 meters to the net edges. At all other points, the maximum fall height is 6 meters. Javer’s personnel safety nets in standard sizes (6 x 10 m or 12.5 x 12.5 m) are readily available from stock. However, we also manufacture customized nets. In the desired sizes and with different wire thicknesses, mesh widths and colours. Do you need multiple safety nets next to each other? Then these are connected with a coupling rope or a minimum overlap of 2 meters is observed.